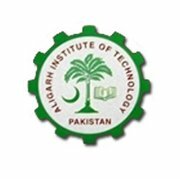 The Aligarh Institute of Technology (AIT), established in 1989, is located on a portion of Plot ST-16, measuring 1.2 acres, on the University Road, Opposite Aziz Bhatti Park in Block 5, Gulshan-e-lqbal Karachi. It is planned to be a big Polytechnic institute for boys and girls to provide, in phases, theoretical and practical courses of instructions in a number of technologies leading to the Diploma of Associate Engineers (DAE) of Sindh Board of Technical Education. The courses in Electronics Technology and Computer Science were started in 1989. The course in Secretarial Technology was introduced from the session beginning from July 1991. A Certificate course of Proficiency in Word Processing was introduced in the session 1995.